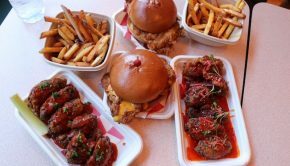 Other Side Fried Chicken - Pop Brixton - REVIEW - What 2? 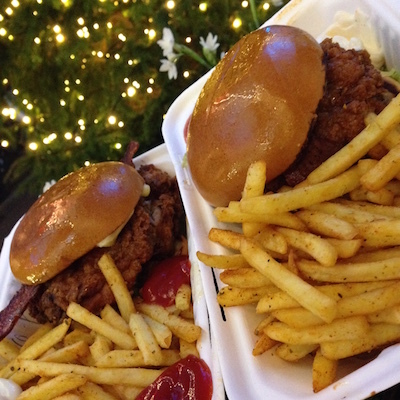 Pop Brixton has many pop-ups inside, but the go to spot for us is Other Side Fried Chicken. Over the weekend we we’re craving a good burger but we we’re blown out of the park at how good Other side fried burgers were. Obviously we have had great burgers before but there was something special about this place. The burger was not only succulent but it was delicious! We strongly suggest you head down… actually run to Other side fried chicken. 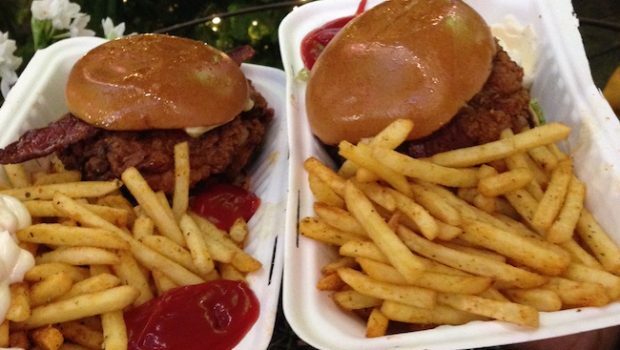 They also dish up some mean fries to go with your burger… perfect for the ultimate feast. As its a pop up theres no time to hang around, so we cant comment on service or atmosphere but lets just say you won’t be disappointed. 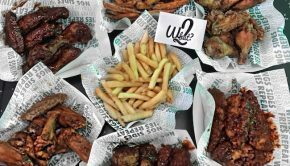 Hints and Tips: If you cant go there, make them come to you, with deliveroo.